Biography Rev. Francis P. Schoenauer, M.Div. Msgr. Pat was born in Lismulladuff, County Donegal, Ireland in 1945. He moved to this country the following year. The Monsignor was educated at St. John the Baptist School and Nativity BVM High School, both in Pottsville. He prepared for the priesthood at St. Charles Borromeo Seminary, Philadelphia, where he earned a master of divinity degree. 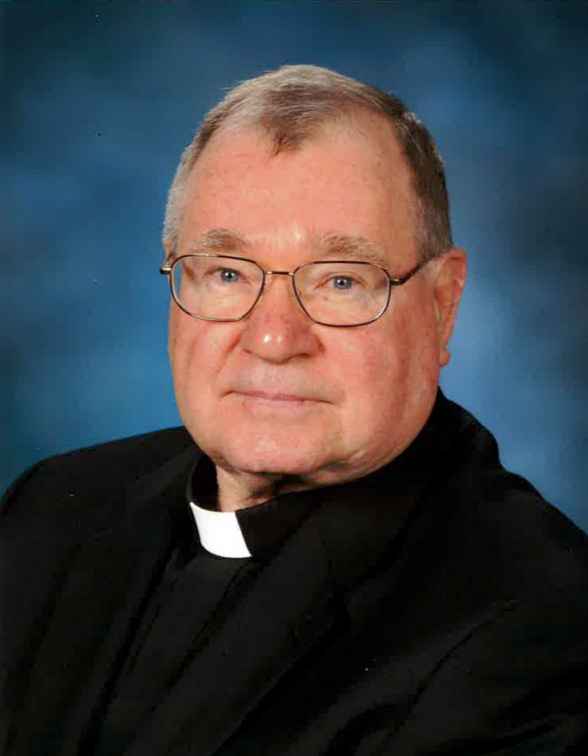 He was ordained a priest May 19, 1973 at St. Thomas More, Allentown by Bishop Joseph McShea. Msgr. Schoenauer was a professor at Allentown Central Catholic High School in residence at Our Lady Help of Christians and St. Stephen of Hungary, both in Allentown, and St. Ann, Emmaus. He was an assistant pastor at St. Ann, Emmaus and Notre Dame of Bethlehem. He first became a pastor at St. Fidelis, Mahanoy City in 1983. Over the next 32 years, he has also been pastor at St. Richard, Barnesville; St. Mary, St. Boniface and SS. Peter and Paul churches, St. Clair; St. Margaret, Reading; St. Nicholas, Walnutport; and St. Francis of Assisi, Nesquehoning. On June 2, 2016 at Mass, the Most Rev. John O. Barres, bishop of the Roman Catholic Diocese of Allentown, announced that Pope Francis had conferred a papal honor on the Rev. Francis P. Schoenauer, rector of the Cathedral of St. Catharine of Siena. The Pope named Rev. Schoenauer, a chaplain to His Holiness, which carries with it the title of Reverend Monsignor. He has been a member of the Diocesan Council of Priests and is chairperson of the Diocesan Building Committee and a member of the Diocesan College of Consultors.